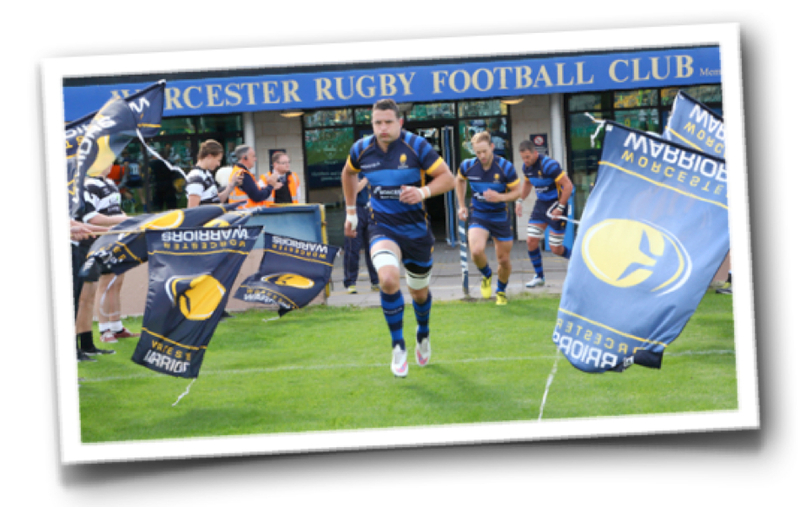 As we countdown to TheStadiumBusiness Summit 2016, Madrid (31 May – 2 June) we exclusively caught up with Jim O’Toole, CEO, Worcester Warriors about maximisng attendance and matchday revenue. Jim has 25 years’ experience in international sports marketing and management. He has been CEO of two world championship series, Powerboat P1 and the World Match Racing Tour in pro-sailing and he spent two years as Commercial Director at London Irish Rugby Club before being appointed CEO of Warriors in February 2015. What’s the biggest challenge of being CEO of a Premiership Rugby Union club ? Our club is at an interesting stage in its development. Professional rugby is 21 years old and our club came slightly later to the party and is seen as one of the younger and smaller clubs in the premiership. This is our third promotion we have won. We came up last year in the play offs and like all teams that are promoted, we’re slightly behind the curve because we missed an entire transfer window. We’re realistic about what we can achieve on the field and success this year would be staying in the premiership. On the business side we are lucky in that we have a venue with facilities that are ideal for conferencing, exhibitions and events and generate £1 million plus in turnover. One of my first challenges was to put the team in place to bring in new events and business. We’ve had some initial success and in April we have a big darts extravaganza which sold out in four days and in June we have Nitro Circus coming which is a terrific high adrenaline event which I’m sure will sell out given our recent track record. The Warriors website claims your stadium, Sixways, is used 24/7, 365 days of the year. How do you do it? The events side brings different challenges to running a rugby team. The sports side of the business is totally focused on preparation and performance. Here we are not only marketing the rugby side of things but also the venue side, whether it be a sales conference for six people in one of our boxes, 500 people coming to the darts night or 12,000 people coming to Nitro Circus. All of those events bring their own challenges which I’ve had to learn to deal with. For example, I now deal with health and safety at the stadium, which in my previous role at London Irish I didn’t because we didn’t own the stadium. Here, I have responsibility for 150 full-time staff and another 150 match day staff which has its challenges. Leicester Tigers, Northampton Saints and Exeter Chiefs have all recently built new stands, Wasps have bought the Ricoh Arena and Bath is looking to build a new stadium. What plans do you have to keep pace with rival clubs? We have long term planning permission to go from our current capacity of 12,000 up to 20,000 but we won’t do that until it’s prudent to do so. At present we average around 8,000 for a home game, so we’d want to get up to 11 or 12,000 before we look to do that. Other than physical infrastructure, I’ve also completely changed the management team here and brought in people from golf, football and from other rugby clubs – people who have a customer centric approach to the business as opposed to people who watch and follow rugby. These are people well equipped in the modern digital age who have a completely different focus on communication techniques with consumers and are used to dealing with supporters who don’t necessarily like to be referred to as consumers. Increasing revenues is vital for any business. What areas are you looking most closely at? All happiness in this industry comes from tickets sales and having a bigger audience in the stadium. We have 25,000 followers on Facebook and if they all turned up every week then we would need a bigger stadium. We’ve also got 19,000 twitter followers, so it’s the same thing. So we need to find ways of getting those social media supporters into our stadium because out of that flow all the other traditional revenue streams including sponsorship, hospitality, merchandise, food and beverage. It’s all about building an experience that is tailored and relevant for the audience by changing some of the things that we do. For example, over the last couple of months we’ve rationalised our food and beverage offerings. We were trying to be all things to all men and at times we’ve had as many as nine real ales in the stadium at one time. We were trying to satisfy everybody by offering things that don’t have the demand to make them profitable. We’ve also rationalised the food offerings to give people what they but more on our terms. So less is more, especially when it’s served up by well-trained staff. And are you doing anything innovative to increase revenue and retention rates? We studied the data of our supporters and a high percentage are over the age of 55. We have an extensive community outreach programme that brings in kids from 6 to 12 years old and we also have another programme that gives 16-18 year olds discounted tickets because they are the supporters of the future. But where the data showed we were really lacking is attracting 18-26 year olds, the young adults in their first job out of university or training and saving for their first house or car. We want them to come and bring their mates to the games, so we introduced a young adults ticket this year and it’s been hugely successful. The second area we looked at was an over 65 discount in certain areas of the ground. We have a largely affluent audience and most of those over 65s will buy our Gold tickets. However, there have been a significant number of regular and also new fans who have now bought a season ticket because of the discount, so that’s been successful too. Which other clubs do you benchmark against? Everybody does things differently because we all face different challenges. At London Irish our challenge was to reverse a dwindling audience. At Leicester Tigers it’s managing a 23,000 crowd in a busy city centre area every week. Northampton Saints are looking to sell those last few tickets for each match and get a sell out. So overall I’d say rugby is not football. We’re a more difficult sport to follow and consume because of the technical nature of it, so we need to educate people from a young age how to come along to watch a Rugby game and enjoy it. Why have you chosen to attend TheStadiumBusiness Summit this year? Last year I had just started the job and I wasn’t quite ready for it but this year I am really looking forward to it because it addresses all the key areas in which we need to learn, improve and innovate under one roof. I’ll be able to listen to and speak with my peers and people who are doing things better than we are, and from whom we can learn. What do you think makes a good CEO of a professional sports club? I think it’s about listening to your existing customers and giving them what they want, when they want, how they want and at a price that gives them value but brings a return for you. It’s also important that you never stop looking for new customers. You’ve got to keep your pipeline of commercial partners and supporters full. Ready to join us in Madrid? Register here.